Headgate Rock Dam was constructed by the Bureau of Reclamation and is located in southwestern Arizona along the Lower Colorado River. It forms Lake Moovalya and provides irrigation supply for surrounding agriculture. 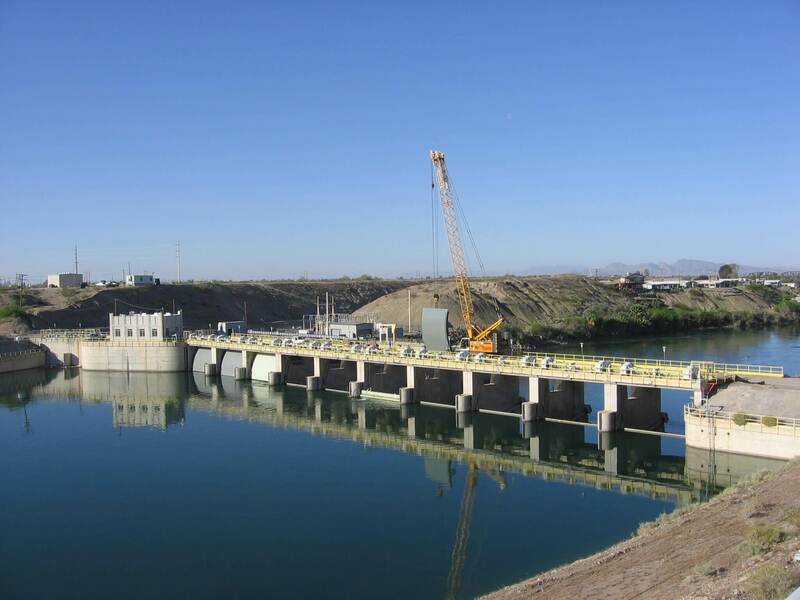 The dam has ten radial gates which are each 30 feet wide and 24 feet tall. The scope of this project included performing repairs to the stoplog assemblies, lifting beams, and slings that were required for control of water during construction. Once the stoplog assemblies were repaired radial gate rehabilitation could commence. The work included replacement of trunnion pins and bushings, wallplates, removal of radial gate arms, replacement of gate seals and clamp bars, weld repairs, roller refurbishment, flat wire rope replacement, rehabilitation of the gate operating machinery, hazardous waste disposal of paint removed from the gates, and surface preparation and recoating of the gates.